Over the weekend Salthouse had the opportunity to showcase Executive Chef Todd Mazurek and his passion for pickling just about everything and anything. 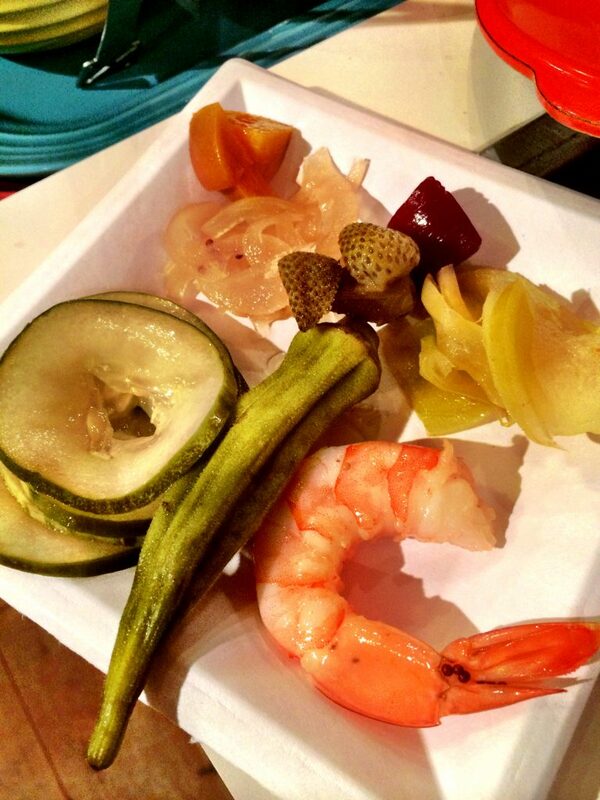 We teamed up with the Le Creuset store on King Street and offered fresh samples of pickled local produce, including beets, cucumbers, okra, shrimp, green strawberries, sweet onions, peaches, and green tomatoes. While pickling usually takes at least four days to properly marinate, Chef Todd uses a method he calls “quick pickling”. He takes a raw product and brings the pickling liquid to a boil, pours the liquid over the product, covers it, and lets it sit for only about a day. As long as the finished pickled product is refrigerated, it can be kept as long as you’d like! Todd’s knack for pickling is found in many of Salthouse’s displays, including our Best of the Season display and Farmer’s Market display. The duck confit canapé, okra tempura canapé, chicken salad canapé, and the cornmeal crusted oyster po’boy canapé all include some sort of pickled ingredients. Todd explains that “I love pickles and quick pickling is the same concept as traditional pickling, but a quick way that tastes just as good, if not better. The only difference is that you don’t have to can the product and it must be refrigerated.” He says that the most popular produce to quick pickle is rhubarb and grapes. 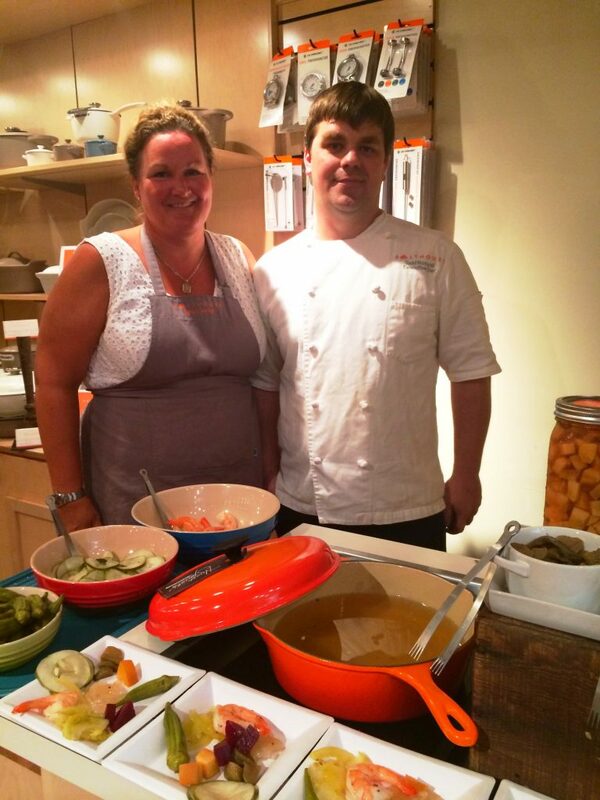 All produce at Le Creuset was from Ambrose Farm or locally procured by GrowFood.